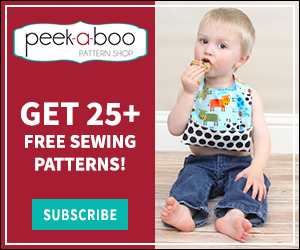 How to Use a Double Needle - Peek-a-Boo Pages - Patterns, Fabric & More! Hey there! Jillayne from Hazelnut Handmade checking in again. 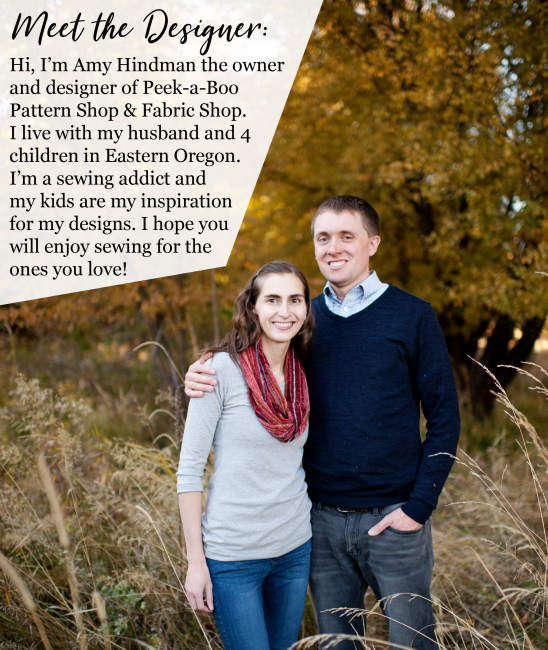 Last month I shared three ways you can hem knits with a sewing machine. Today I’m going to expand on my favorite of those methods–the double needle. 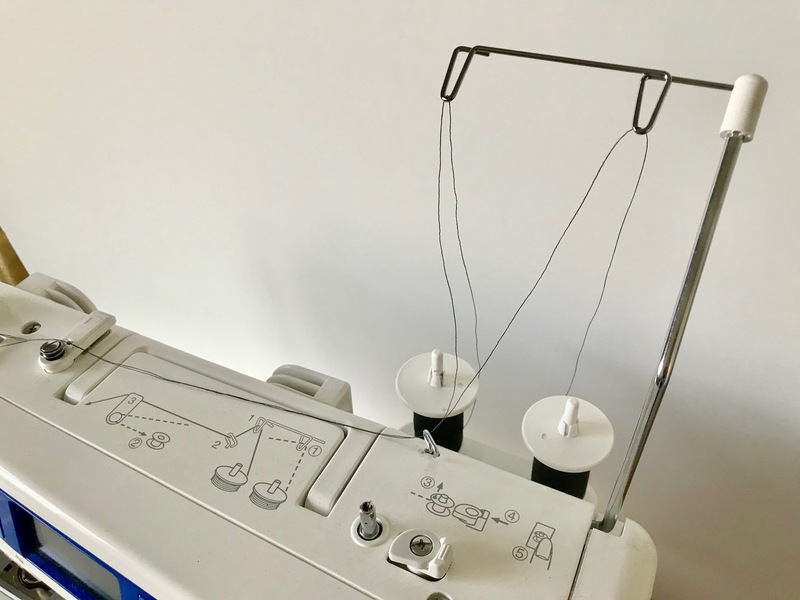 If you’re looking to make your clothing look more professional but can’t afford a coverstitch machine, a double needle is for you. They are only a couple of dollars and you can get them online or at pretty much any brick and mortar store that sells needles. A double needle is often called a twin needle. The names are pretty much interchangeable and I use both names pretty equally. It has two needles that come off one shaft so you can put it in your machine just like a regular needle and the two needles go up and down at the exact same time. Like I mentioned in my post last month, a double needle or twin needle sews two parallel stitches on the top of the fabric while the bobbin thread zig-zags between the stitches on the underside. From the top, it looks very similar to a coverstitch, with out the extra machine. 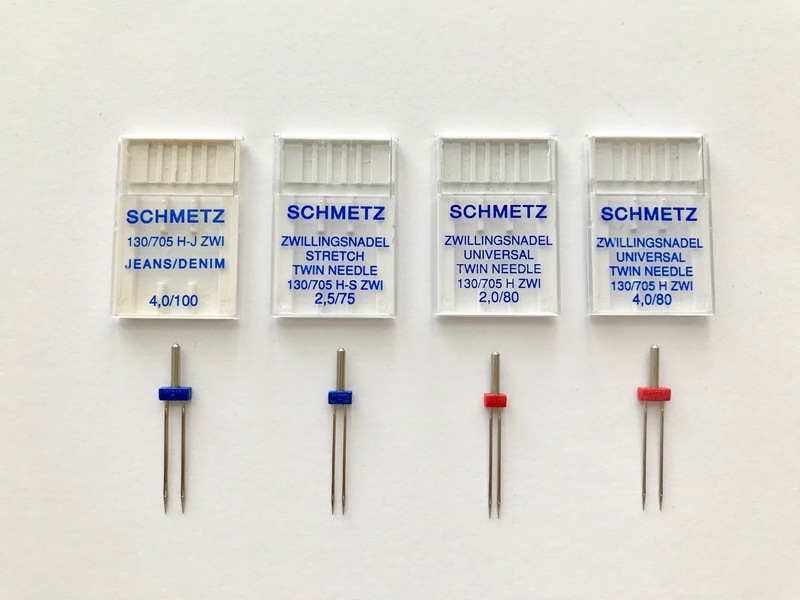 Double needles come with different widths between the needles, needle thicknesses, and needle points. There are universal twin needles, jean twin needles, and ball point or stretch twin needles. When looking at a package of twin needles, there are two numbers at the bottom. The first refers to the distance between the two needles. The larger the number, the more distance between the two needles. The second number is how thick the actual needles are. I say second number even though it’s really two numbers with a slash between because it’s actually one measurement written in two different ways. So just look at the number that looks similar to the regular needles you buy to determine what thickness you need. I always look at the right side of the slash. Like regular needles, the larger the number the thicker the needle. The thicker the needle the thicker the fabric. You’ll need two spools of thread (ideally in the same color) to thread your twin needle. Many machines have two places you can put your spools onto. If not, you can tape a kabob stick, thin chopstick, or thin wooden dowel to your machine to create your own second spool holder. 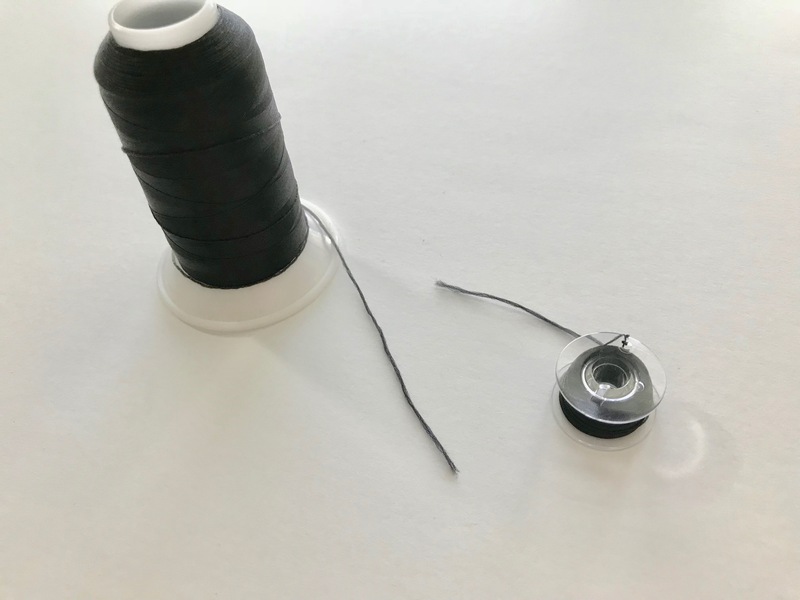 Place a spool of thread on each of your spool holders and the get the thread ends from each spool and hold them together. Thread them through your machine as if they were one piece of thread. Once you get to the needle, you’ll separate them and thread one through each needle. Thread your bobbin as usual. 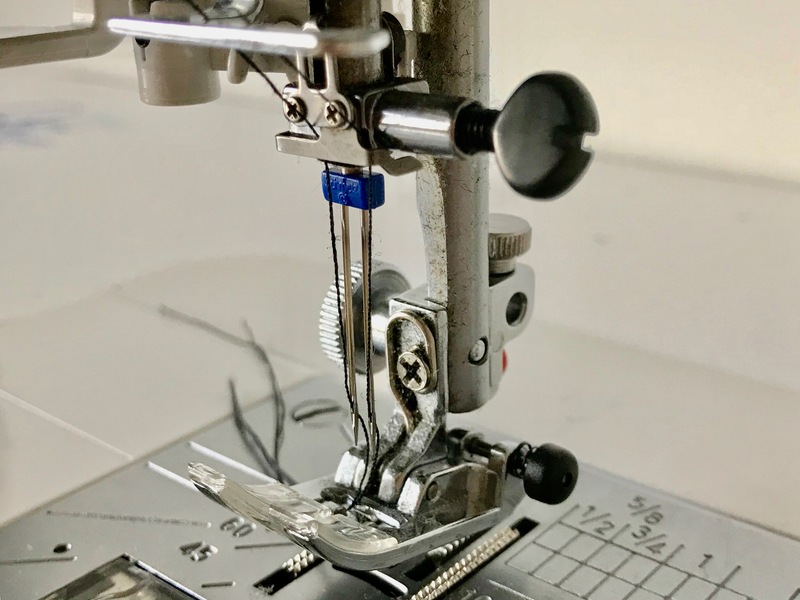 Make sure your double needle is smaller than the openings in your sewing foot and needle plate and that you only do a straight stitch while you have your double needle in. 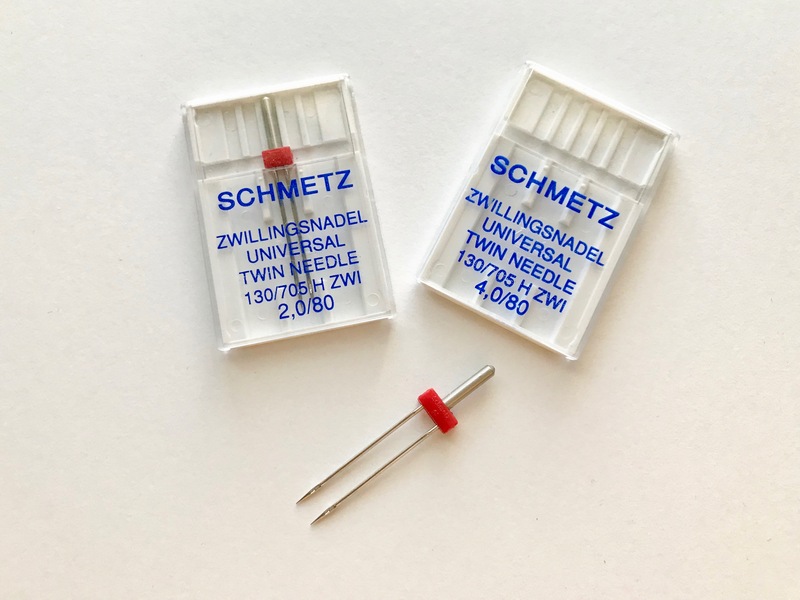 Because the double needle is wide, you will likely hit your foot or needle plate and break the double needle if you try to sew any kind of zig-zag or wide stitch. Start and end your stitching with a back tack just like you would with a single needle. Sometimes you’ll notice the bobbin thread that is zig-zagging on the underside is looking rather straight instead of zig-zaged. When that happens your stitch loses some of it’s stretchiness and will break more easily. It can also cause ‘tunneling’ where the fabric creates a little bump in-between the two straight stitches and makes it stick up a little. 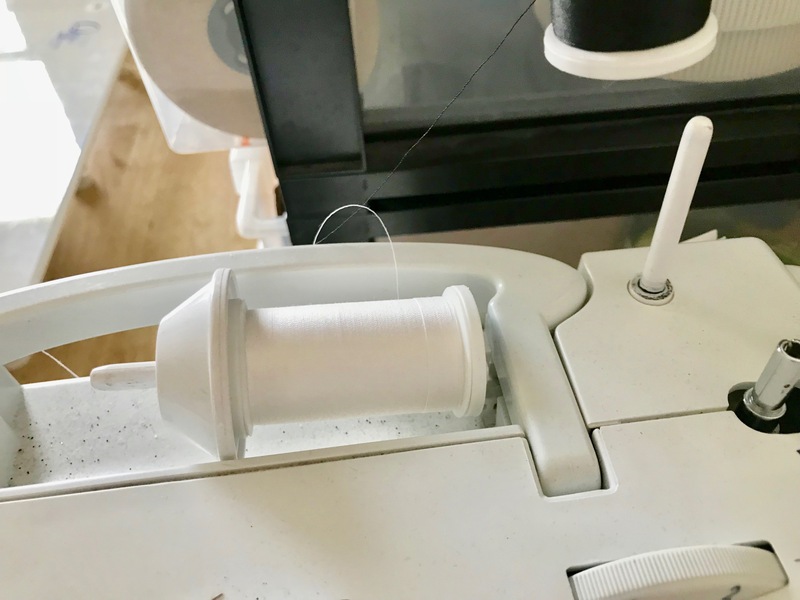 If you have wooly nylon thread, use it in the bobbin for sewing knits. Wooly nylon looks like really thin yarn and has a small amount of stretch to it. It helps your stitches with the double needle be stretchy and give a little more than with regular thread. 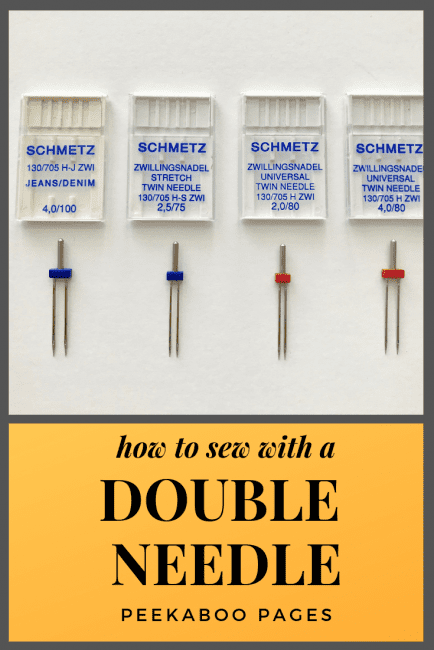 I use my double needle mostly with knits for hems and topstitching places that need stretch, like necklines and waistbands. When I hem, I like to use a narrower double needle because I find it cuts down on the tunneling. When I am topstitching necklines, I like to use a wide double needle. One of the reasons I topstitch my necklines is to keep the serging pushed towards the shirt and away from the neckline. And because I try to topstitch so one of my needles stitch in the ditch of the neckband, the wider needle width seems to keep the serging down better. But both of those are personal preferences and you can play with the double needle width to find what works for you. Double needles are also helpful if your make Jeans or jean leggings like the Juniper jeggings. Jean thread often contrasts the denim and stands out a lot. Using a double needle for parallel lines like at the back yoke and zipper fly makes those jeans look so professional! Now there are no excuses! Slip that double needle into your machine and give it a try!